Against And Forward / Вперед Вопреки Всему: The Red Coat. When autumn gets really cold, it becomes all about outerwear. 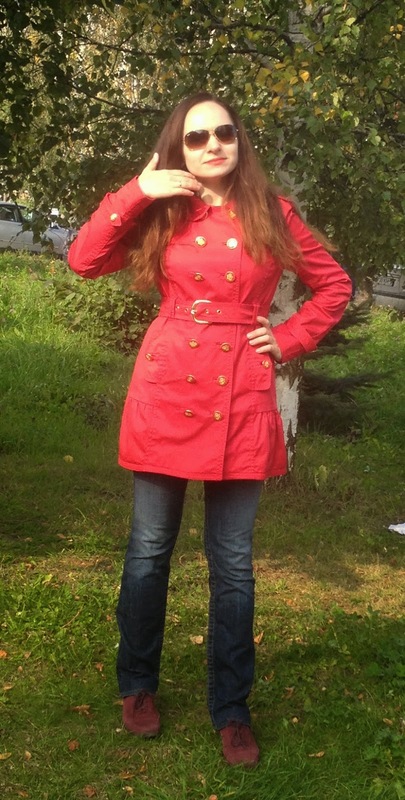 A bright colored coat is my "basic" item number one on the autumn wardrobe list. Either red or any other vibrant color - it is your lifesaver! When you are not in the mood for any complicated styling, just throw it on, and you are immediately stylish. 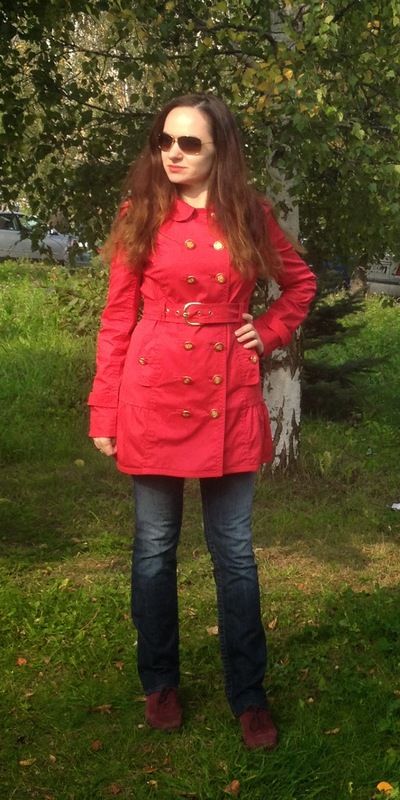 This is what I did for the today's outfit: regular dark blue jeans, red trench coat and red lips - at this is already an outfit! imagine a highly popular basic item - a beige trench coat here? Boring! Boring! Boring! Or if you ARE in the mood for some creative styling, a bright coat is endlessly versatile. I will sure demonstrate it in my future posts.